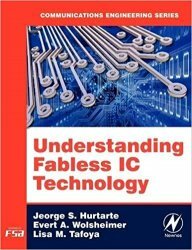 Fabless (no fabrication) IC (integrated circuit) techniques are growing rapidly and promise to become the standard method of IC manufacturing in the near future, this book will provide readers with what will soon be required knowledge of the subject. Other books on IC fabrication deal with the strictly physical process aspects of the topic and assume all factors in IC fabrication are under the control of the IC designing company. By contrast, this title recognizing that fabless IC design is often as much about managing business relationships as it is about physical processes. “Fabless" ICs are those designed and marketed by one company but actually manufactured by another.